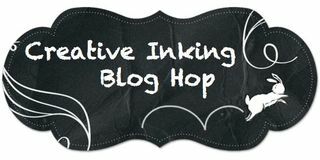 Welcome to the Creative Inking April Blog Hop! Whether you have arrived from Phyllis' blog or started here, please be sure to follow along the hop to see all our creations. 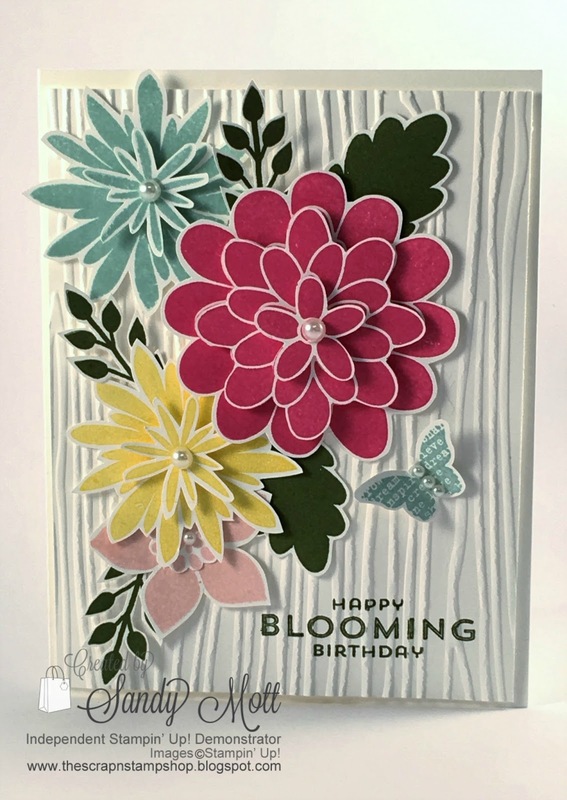 I used the ink colors Melon Mambo, Daffodil Delight, Pool Party, and Blushing Bride to create the flowers. The leaves were all stamped with Mossy Meadow. 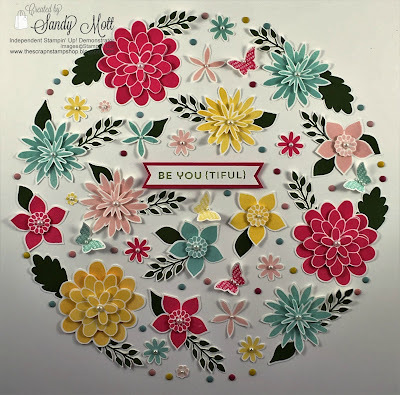 I used the small butterfly from the Butterfly Basics stamp set for something a little different. I used pearls to adorn the flowers and Candy Dots (Brights and Subtles) to fill in around the flowers. 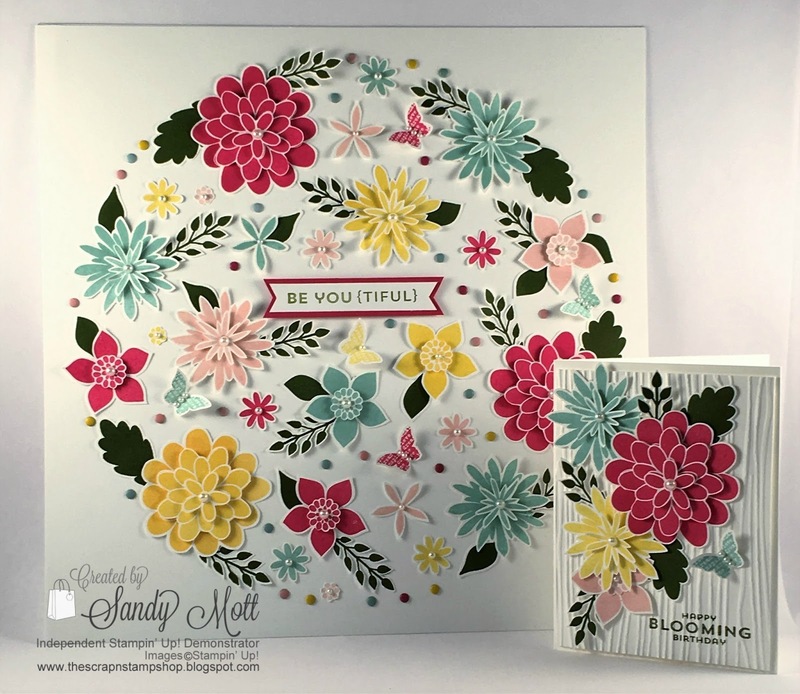 The sentiment is also from the Flower Patch stamp set. I used the Woodgrain Impressions Textured Embossing Folder to back the flowers and provide some contrast to the white-on-white card. If you love Wall Hangings like I do, check out the Baby Boy and Baby Girl Wall Hangings that I designed - you can see them on my pinterest page here (boy) and here (girl). Now let's go see what the wonderfully creative Lori Mueller has for us! Click on the "next" link below. Drop dead gorgeous Sandy! Love it! Absolutely stunning! A true art piece. Thanks Tonya! So glad you like and I hope she does, too! Sandy i have gone back on this bundle. I have always wanted it but hadnt made the investment. I am now sold. This is amazing. I may have to C.A.S.E this. And I love the idea of making a framed piece and starting with the concept of a circle. I cant wait to try this idea. Maybe I will start with the botanical set! I'm so excited!!!! Thank you Angela! It really is easier than it looks. I used an 11" circle (drew it with pencil on my 12 x 12 white. After arranging and adhering the flowers, etc., I just erased my pencil marks. Easy-peasy! Sandy, Sandy, Sandy! Out of this world stunning projects! You are SO creative! This is absolutely beautiful! I can't believe the amount of cutting work you had to do for it- I don't have that kind of patience :) Kudos to you! Thank you Amber - it really wasn't bad at all! Wowza! Sandy- how long did it take you to make the wall hanging? it is just stunning!! Thank you Lynn! It took about 3 1/2 hours total. I stamped and cut the flowers out one evening and put it together the next morning. Arranging the flowers to my liking was the hardest part! Thanks again! That is one lucky friend!! What a gorgeous wall hanging! The color combo is terrific and the card is gorgeous as well!! 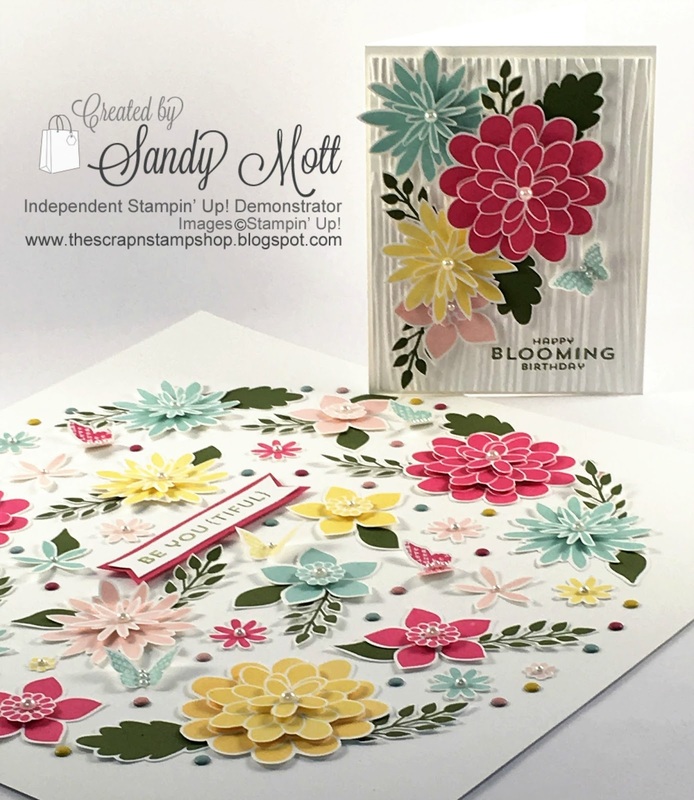 Thanks so much Susan - she's my bestie and a stamper, so I'm keeping my fingers crossed! I appreciate your kind words! The wall hanging is stunning. I would love to have one of those! Thanks so much MarvA1ix! I appreciate your comments! Wow, wow, and wow! This is gorgeous, amazing, and all the other adjectives combined.